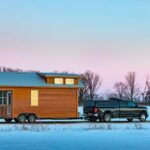 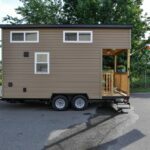 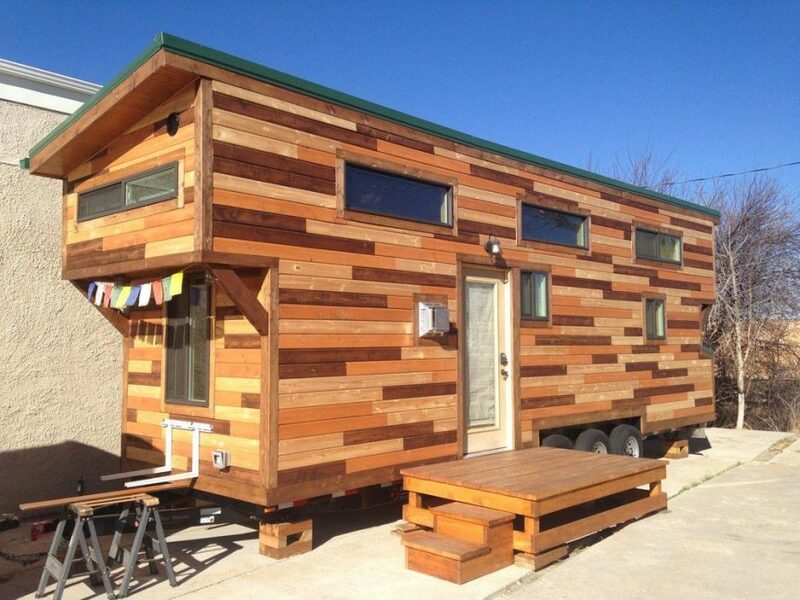 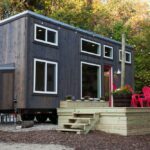 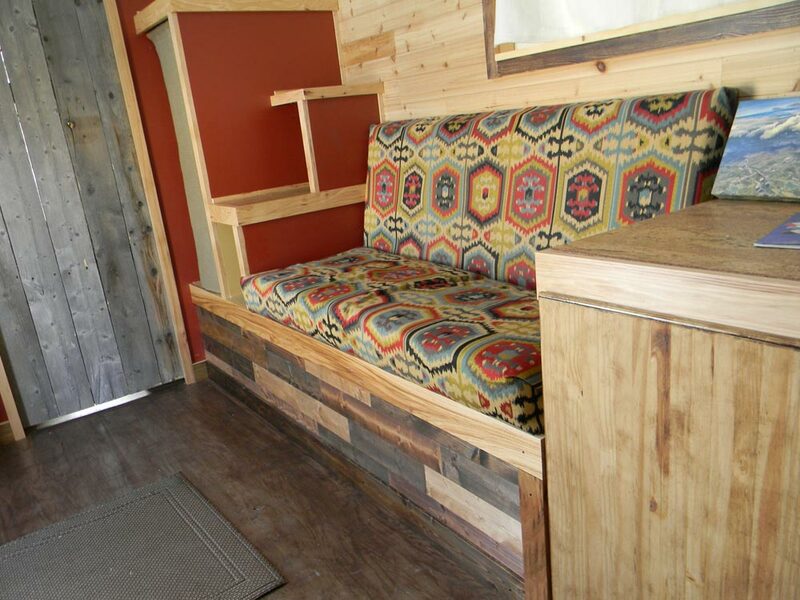 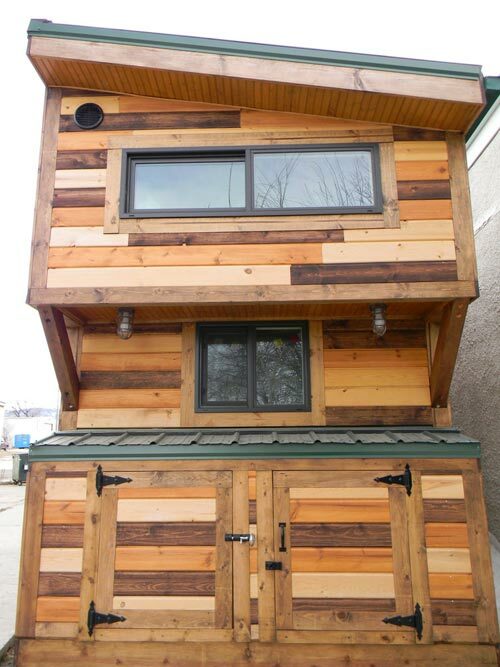 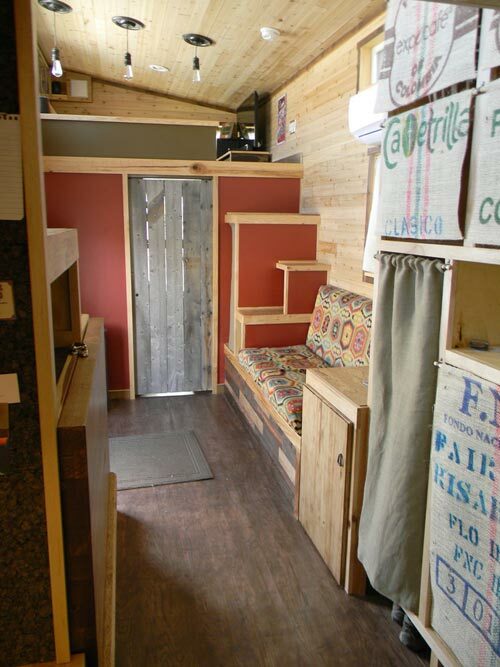 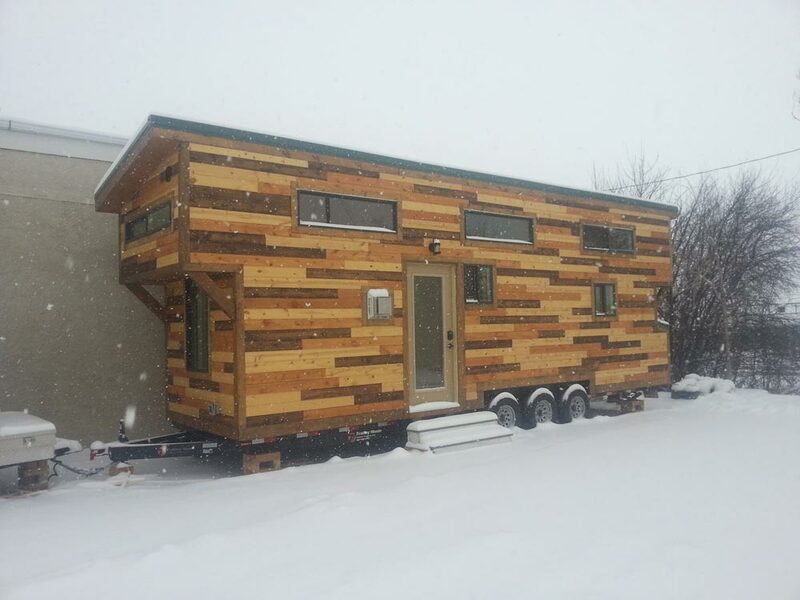 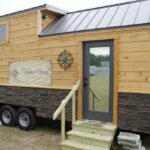 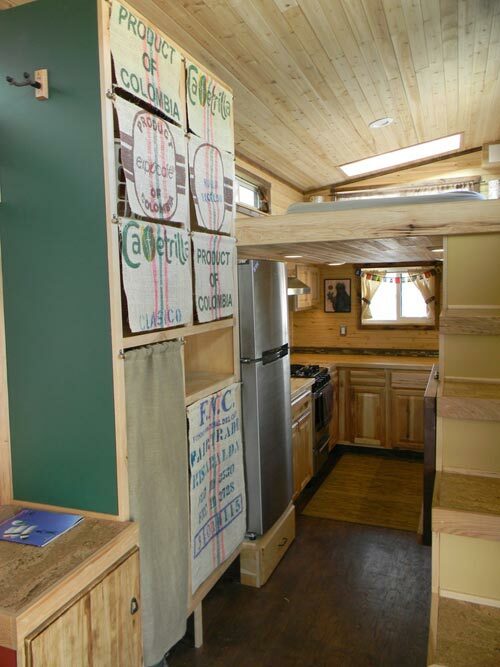 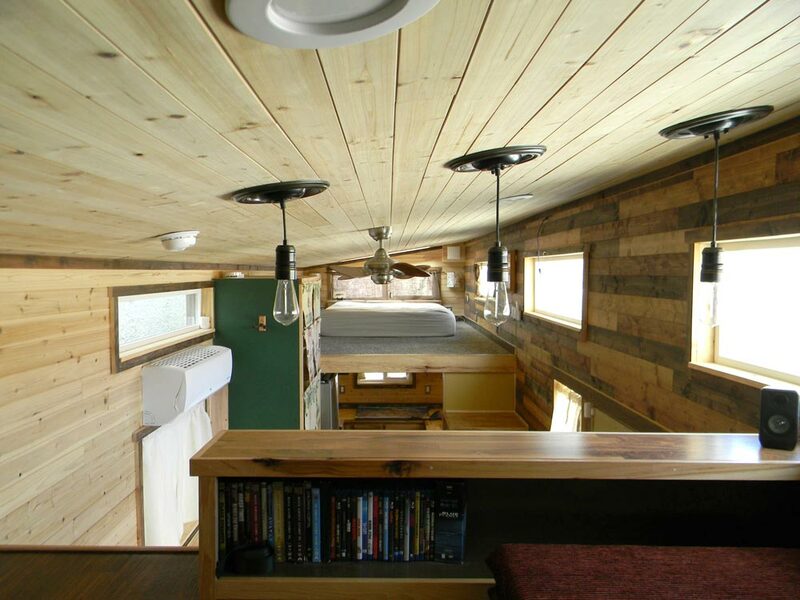 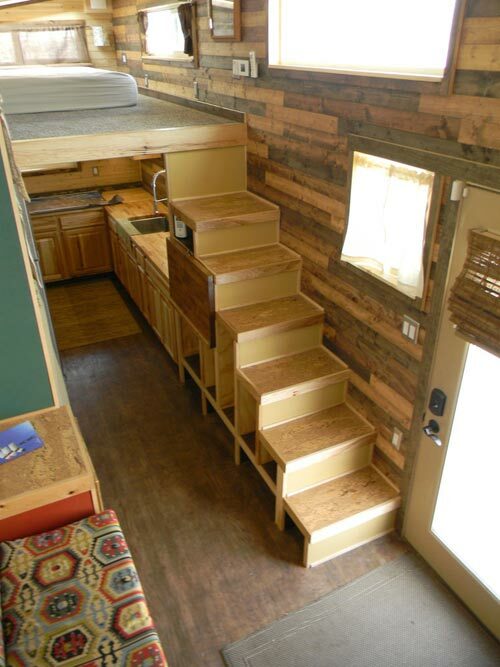 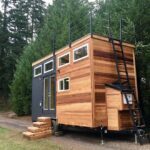 After buying a set of hOMe plans from Tiny House Build, DIYer Aaron Haack set out to build this colorful tiny house named The Grand. 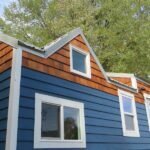 The exterior wood siding was stained with three colors, giving it a unique, modern finish. 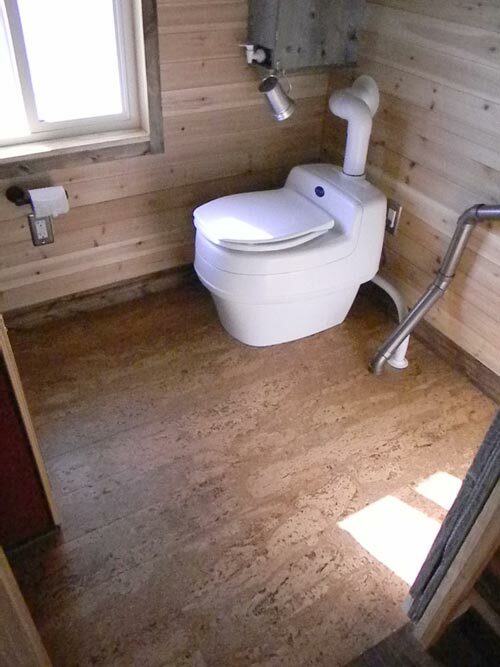 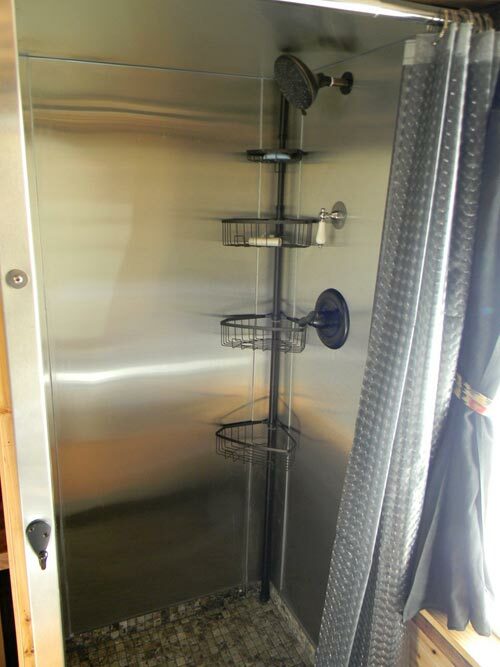 Aaron also made a modification to the plans by installing an exterior utility room to store the batteries, water heater, and electrical panel. 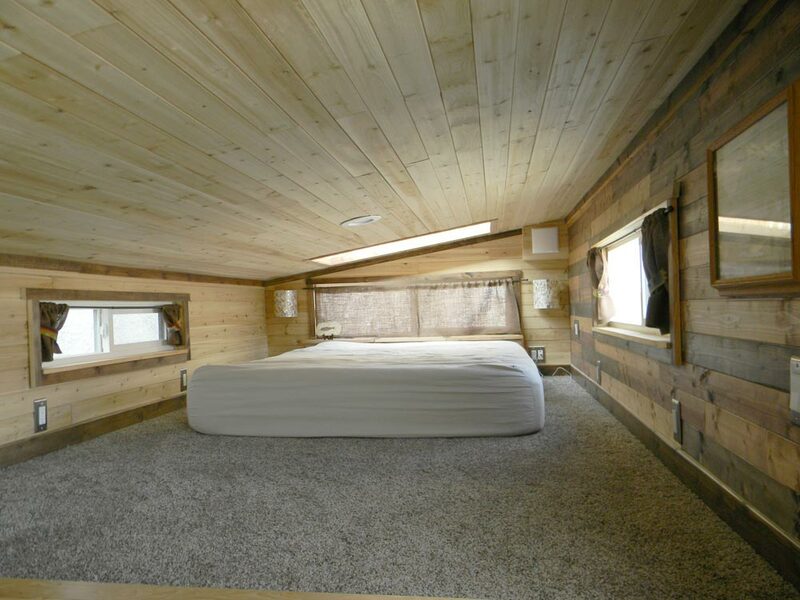 Inside the house, Aaron used cedar siding on all but one wall. 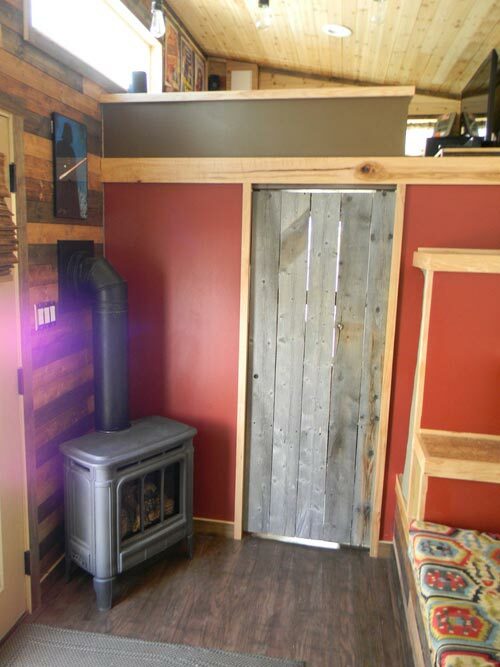 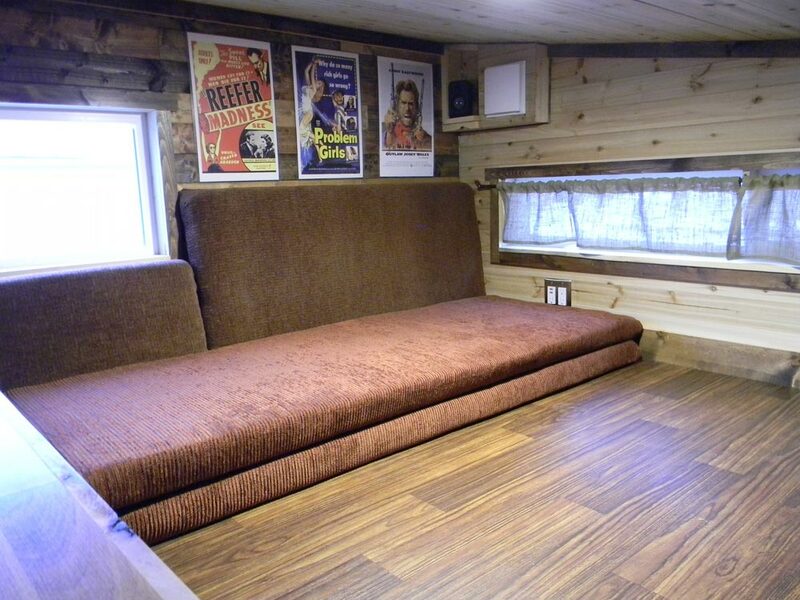 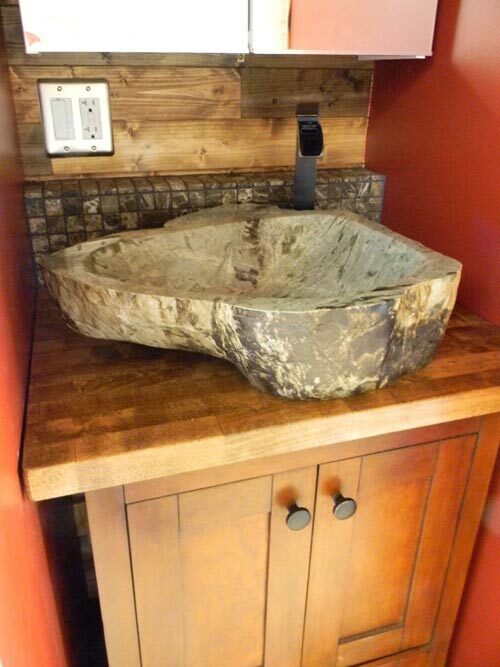 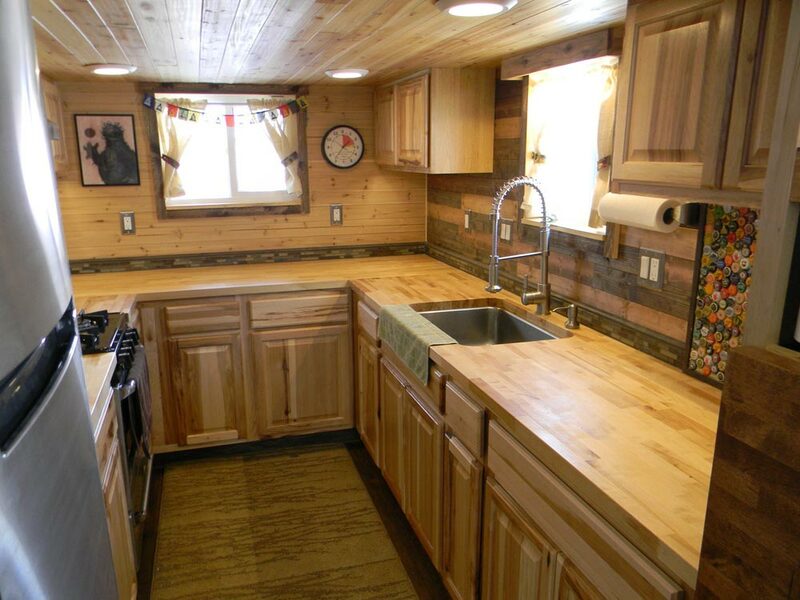 The accent wall was covered with three stained colors of knotty pine siding, which turned out beautifully! 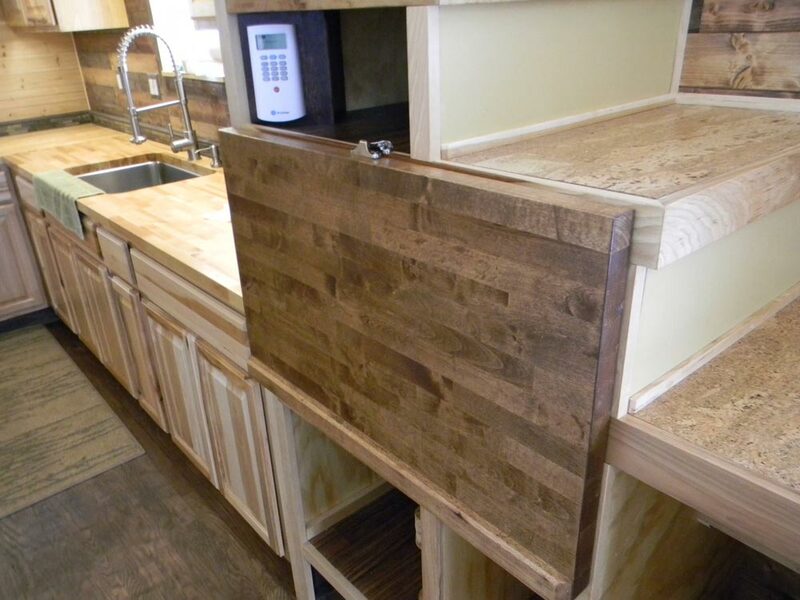 The kitchen features hickory cabinets wrapped around three walls, stainless steel appliances, butcher block counters, and LED lighting.